Shop system optimization and maintenance. Affordable and best price guarantee. Shopware developer with top quality! Shopware 5 is a highly flexible, open source, powerful and scalable e-commerce Platform. It enables you to quickly and easily create an online shopping system. Shopware meets all of your as well as your client’s requirements for running a online Shop. We are perfectionists in our field with years of experience and expertise as we are recognized as an official certified partner. With our unique outsourcing and offshore development model, we have grown much faster and bigger as compared to our competitors. We have successfully completed many Shopsystems. Theme Designs and Individual Plugin Development. We help our clients turn their dreams into reality, no matter how complex and large their projects are. Contact us for individual request regarding your next online shop project. This makes us your perfect Shopware agency partner. BrandCrock GmbH is the official shopware development agency for shopware products. We understand the particular operational challenges of today’s shopware development and help our many customers to achieve their online business success. We are not only certified partner of shopware, but also contributing to the shopware community by developing plugins and Shopware themes on shopware community store. Presence on Shopware Store and have developed many plugins for Store. Learn more about the development of Shopware Plugins. Learn more about the development of Shopware templates. Learn more about the development of Shopware Theme. Learn more about Shopware Theme Demos. Creation of a requirement specification for the SRS software. 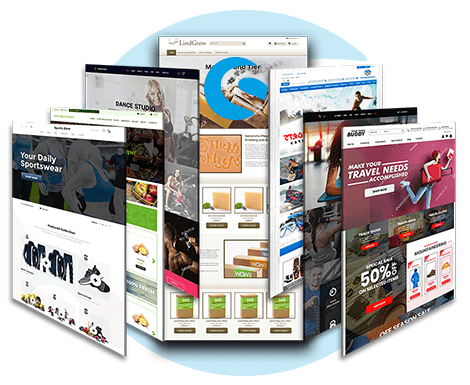 Consulting and installation for the best selection of plugins for your online store. Our Shopware developers and professional teams, can take care of the technical adaptations and further developments. By extending any additional functions via Plugin and Template. Through the Shopware Plugin development we can customize your shop individually. BrandCrock is a complete Shopware development agency and is the best way to get Shopware experts. We are providing shopware support on for plugins we developed for the shopware community. Request now for Shopware developer or development, teams at fair conditions with top quality guarantee. What services do you offer for shopware? Do you have references for shopware? Do you develop Shopware plug-in? Yes, we have developed many plugins. From smaller plugins to very complex plugins. The smaller plugins, whose development takes a few hours to develop, some plugins that took about weeks to develop and test before final use. Have you also developed plugins, which are available on community store? Yes, BrandCrock as Software Business Partner has developed many custom Shopware 5 plugins. You can find the plugins in the Community Store. Do you have Shopware certification? we have the teams with online shopware training certifications. Can you help us in migrating to Shopware from other Ecommerce Platform? We have helped our many clients from migration to Shopware from other ecommerce platforms. How much a shopware development cost? It depends on the number of man working hours we have to put into effort. You can find more information under Shopware cost estimations.